In general I try to avoid reading Crichton’s books if I have seen the film taken from them. I prefer to leave them for last, when, alas, there won’t be others left. This time, however, I made an exception, also because it’s been so many years since I saw “Rising Sun” at the theatre. I didn’t exactly remember the plot and it was nice to rediscover it in the pages of this novel, even if some details came to my mind as I went on. I must admit that during the reading I often found myself imagining Sean Connery and Wesley Snipes playing the main characters and it was a great feeling. It was like reliving that film, but in a much more diluted and in-depth way. 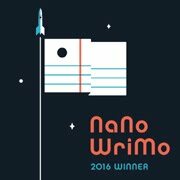 The story itself is about the murder of a young high-profile prostitute in a Los Angeles skyscraper belonging to a large Japanese company, which took place at the same time with an important party that involved many famous people (some real ones, who are mentioned by the author, even if they are never seen in a scene). The game of deception, the technological element and the succession of events (the story takes place in two days) full of twists and turns make this novel a fast read, despite its length. But what makes it even more interesting is all that in the film, for obvious reasons of time, could only be mentioned: the technological war between the US and Japan in the 90s. 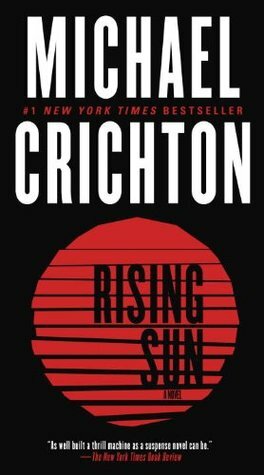 Crichton, mixing reality and fantasy, makes us learn more about Japanese industrial practices and the culture of the rising sun. He does so in particular through the character of Connor, an experienced policeman with a love-hate relationship with Japan, made of understanding and respect for its rules despite this does not correspond to a total acceptance or even approval of the same, who leads the protagonist, Smith, in a difficult case that everyone, for one reason or another, wants to close as soon as possible. This is the death of a woman of “no importance”, as defined by the Japanese characters, but that somehow is able to upset many other lives, perhaps even Smith’s. What I also found very interesting is the technical aspects concerning the tampering of surveillance videos, even though now, with direct recording on files, it appears obsolete. Overall, in this novel, as usual, Michael Crichton manages to combine a page-turning plot with valuable insights, able to leave a mark well beyond the time dedicated to reading.